This comprehensive introduction to acrylic explores all the essentials—from the basics of color mixing and brush handling to more advanced special effects. Learn from the experts, with helpful hints on technique and style from a wide variety of professional acrylic artists. 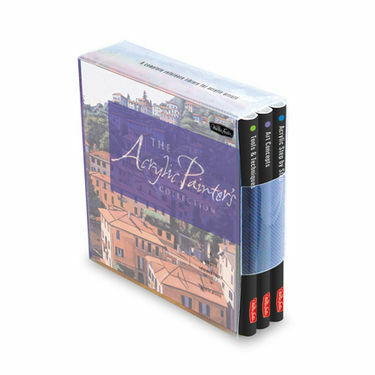 Devised for easy reference, these books are the perfect resources for finding a quick answer or simple solution, as each volume explores an important area of acrylic painting in detail. An excellent source of information for both the experienced artist and for those who have never dabbled in acrylic before, this library provides the knowledge everyone needs to paint with confidence.